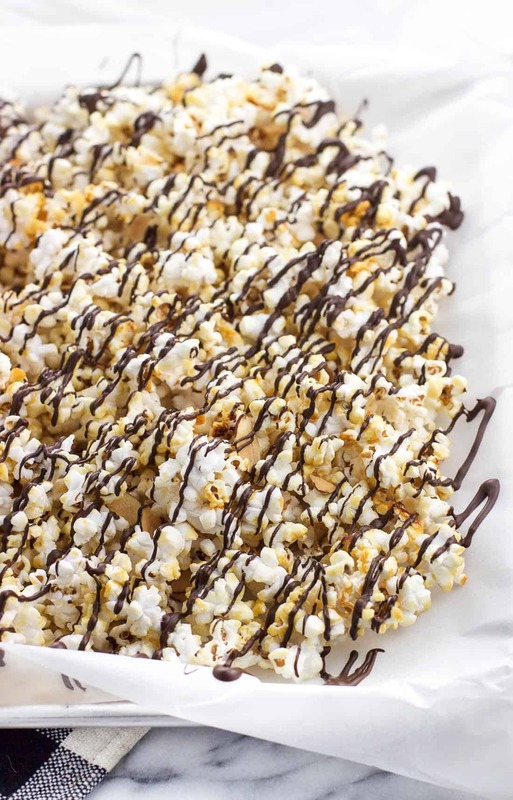 Easy homemade chocolate drizzled kettle corn is mixed with toasted almonds and topped with dark chocolate for a quick and crunchy chocolate popcorn dessert. While Wikipedia tells me that kettle corn has been around since the 1700s, I distinctly remember a kettle corn boom in the early 2000s to the point that it became the only microwave popcorn I made. Those 100 calorie packs? My daily snack. I (temporarily) got off the popcorn train sometime in college when, after one too many dormmates scorched the living daylights out of it, I couldn’t stomach it anymore. The proverbial ‘they’ say time heals all wounds…and they’re right when it came to my popcorn cravings. 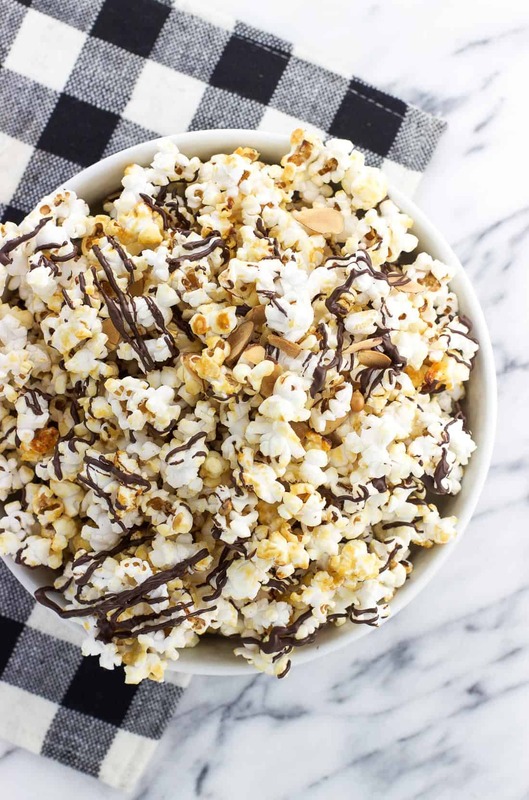 This chocolate drizzled kettle corn is the fourth popcorn recipe on the blog but the first one that dips back into my old love kettle corn. 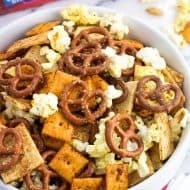 Psst – if you’re a savory popcorn fan, see my other recipes: salted lime popcorn, turmeric popcorn with garlic and dill, and buffalo ranch popcorn. While microwave popcorn can’t be beat for convenience, homemade popcorn isn’t that much more time consuming. I make it right on the stovetop, and all you’ll need is a big pot with a lid. It’s my preferred popcorn method now. A big bag of popcorn kernels will cost you just a few bucks and will last a long while. My standard supermarket brand bag of kernels is 32 oz and in total is listed to make approximately 120 cups when popped. That’s a lot of popcorn. 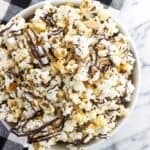 Even though the flavors are different, there are a lot of similarities between how I make this chocolate drizzled kettle corn and savory popcorn. For starters, same method – big pot with a lid. Then I always use coconut oil for popping. 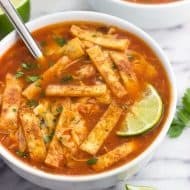 It doesn’t burn, doesn’t leave a greasy feeling, and is flavorless when using refined coconut oil (see a note on this below). Homemade popcorn at its most basic has very few ingredients: oil, kernels, and arguably salt as a must-add. Just one ingredient upgrades standard popcorn to kettle corn – sugar. In addition to all of the above, sugar is added to the pot along with the kernels and salt and works its magic in coating the popcorn with a slightly hardened and sweet coating as they pop. 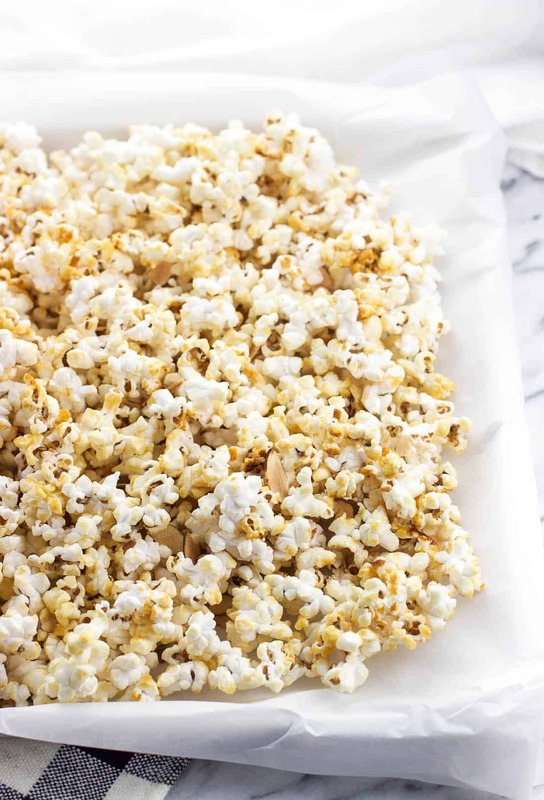 Once the popcorn has popped, you’ll want to immediately pour out the kettle corn onto a parchment paper-lined sheet and arrange it into a fairly uniform layer. Getting it out of the pot ASAP prevents the pieces on the bottom from burning, which as we know, is not a popcorn goal. This also helps the kettle corn harden as it cools and clump together slightly. It’s inevitable that a few kernels will get a little too roasty toasty in the process, so just pick those out as needed. 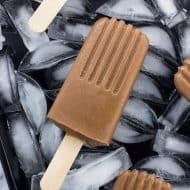 Once cooled, a quick drizzle of dark chocolate takes things to the next level to make this sweet snack/dessert something special. 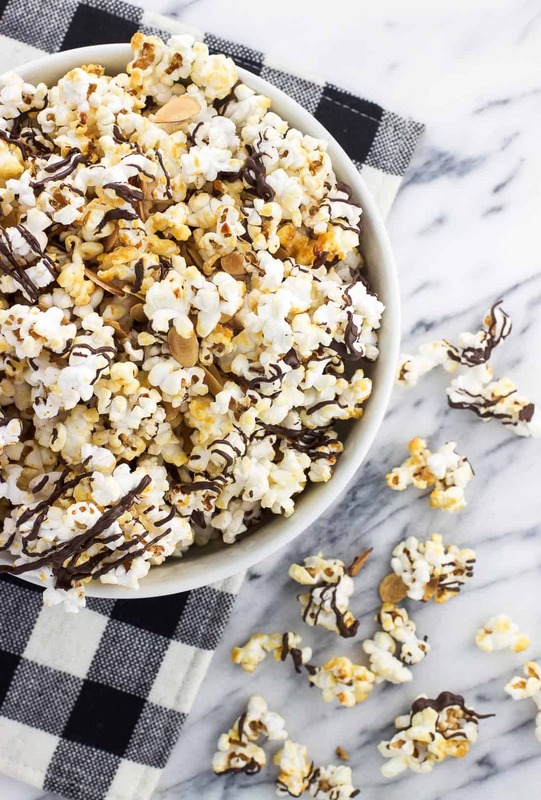 This chocolate drizzled kettle corn is certainly delicious without the almonds (and do leave them out if you want), but toasted almond slices tossed throughout were a nice treat! Refined vs. unrefined coconut oil. For my savory popcorn recipes I use refined coconut oil so as not to impart any coconut flavor. 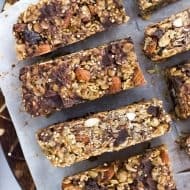 For this recipe I use unrefined coconut oil because a slight coconut flavor/after taste mixed with toasted almonds and dark chocolate is certainly complementary. Use whichever you prefer. 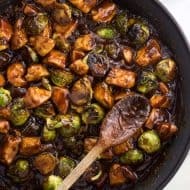 As written below I recommend measuring out all of your ingredients and prepping your parchment before beginning as this recipe moves quickly and is time-sensitive. 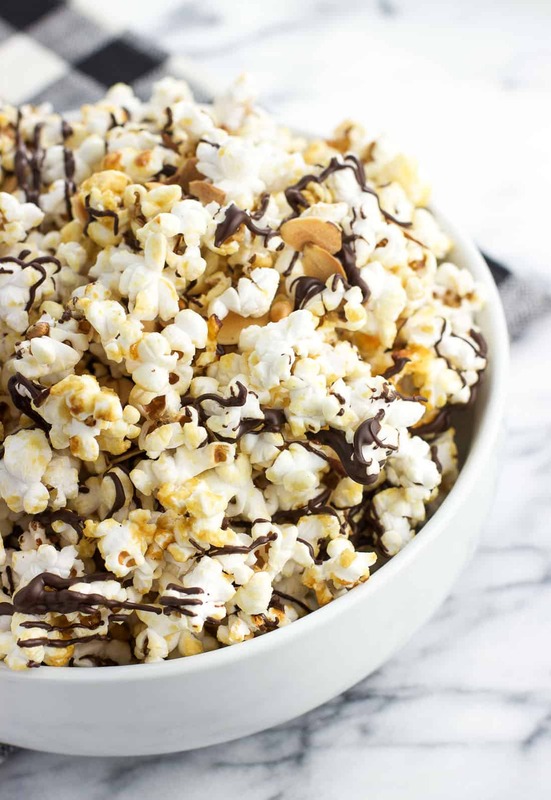 Easy homemade kettle corn is mixed with toasted almonds and drizzled with dark chocolate for a quick and crunchy chocolate popcorn dessert. Preheat oven to 350°F. 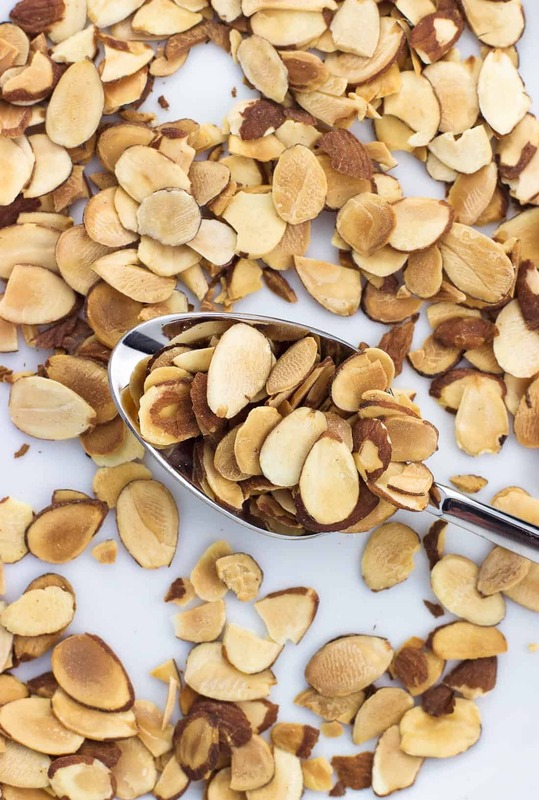 Scatter sliced almonds in an even layer over an ungreased rimmed baking sheet and bake for 4-5 minutes, or until almond slices are golden brown. Keep a close eye on them as they can burn quickly. Once toasted, immediately remove sheet from the oven and transfer the toasted almonds to a plate or bowl so they stop toasting and cool. Measure out your ingredients as things move quickly from here. Line a large baking sheet with parchment paper and set aside. Add coconut oil and three popcorn kernels to a large pot set over medium-high heat. Put the lid on the pot. Watch for the first kernel to pop, then carefully pour in the rest of the kernels, the sugar, and the salt. Quickly stir everything together. Place the lid back on the pot and shuffle the pot back and forth, shaking up the kernels to prevent those on the bottom from burning. You'll soon hear the popping intensify. Once the popping slows down to a few seconds between pops, immediately pour out kettle corn onto the parchment-lined sheet and arrange in an even layer. Remove any burnt bits or unpopped kernels with kitchen tongs. Don't use your fingers as they'll be hot. Kettle corn will harden some as it cools. Once cool, melt chocolate in your preferred manner and transfer to a plastic bag. Snip the corner of the bag and pipe melted chocolate over the cooled kettle corn. Let chocolate harden before storing. 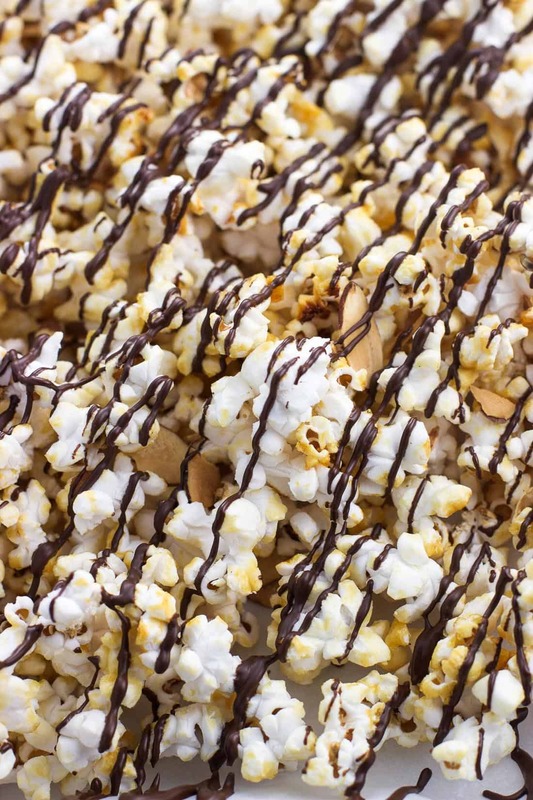 You can briefly refrigerate the chocolate drizzled kettle corn if you're in a hurry for the chocolate to harden. Just a few minutes should speed it along.